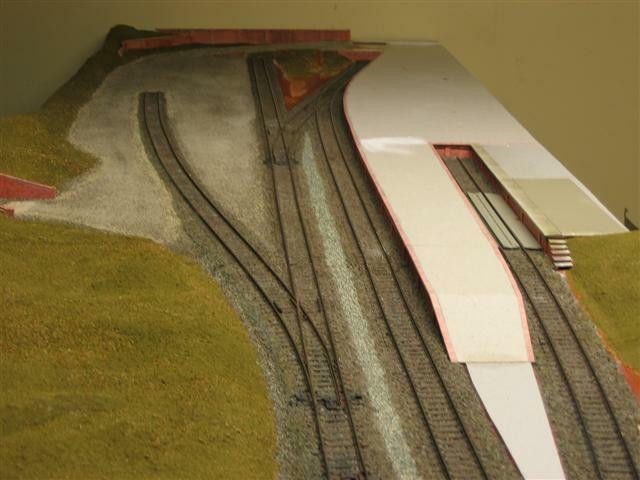 Track is Peco code 100 as I happened to have a stock of points and also because of I wasn't sure that some of my stock would like the code 75. I've wired in electromagnetic uncouplers and will be using DG Couplings after seeing them in use at on a layout at Warley last year. The buildings will all be scratchbuilt when I can get round to making them. 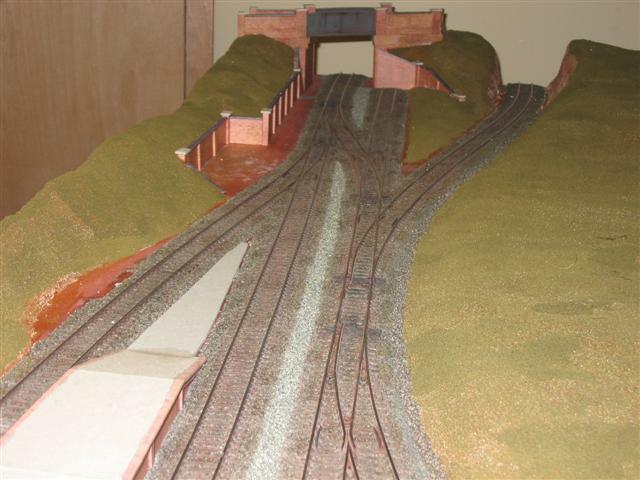 I have experimented so far with a weighbridge office in card using Scalescenes brickpaper which I'm reasonable pleased with. Sorry it's been a rather long introduction and I'm hoping that I can pick up some tips here to improve my humble efforts. Thanks Nick. exactly what was wanted. A good start, Nick. I especially like the different coloured grasses on your hills. I'm going to enjoy this one developing. 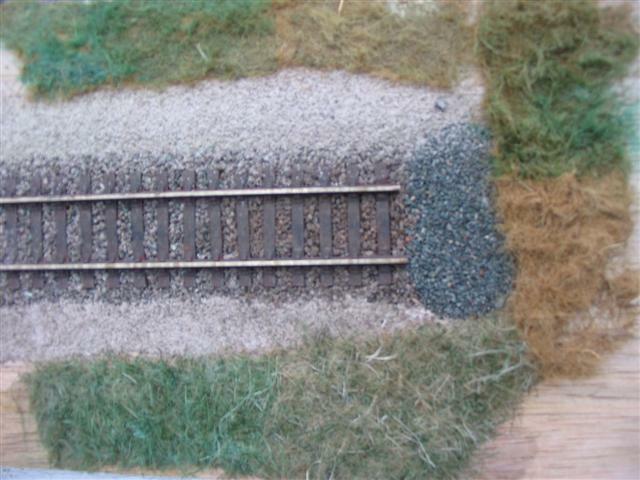 Very interesting way of building your layout, completing each job as you go, not as most of us working on one section at a time, the different colouring of the grass has already been mentioned, but I like your ballasting, the different way you have blended the dark stained and the lighter clean ballast works well. What have you used for the walling ? Thanks for the comments guys, I'm just about to leave to go away for three days so will do a detailed response when I get back. glad to see I'm not the only one on here who likes the DG couplings.Although mine are N gauge,I only found out recently that DG couplings were available in other scales.They've been around for over 20 years now,and are widely used on many exhibition layouts. And as for GWR 1930's.......well...bring it on my friend.I'm really looking forward to seeing Much Murkle grow.Its my favourite period and my favourite Railway. I especially like the different coloured grasses on your hills. These are just a couple of shades of fine flock powders. I'll be adding some dyed carpet felt or hanging basket liner and some coarser flocks and static grass to get different textures in due course. The walling is Scalescenes red brick paper for the walls and piers with blue brick for the capping bricks, all laid on 2mm greyboard and sprayed with artist's fixative as recommended by Scalescenes. The capping stones are just 2mm greyboard with the top edges lightly sanded to round them off and painted inn a concrete / stone colour. 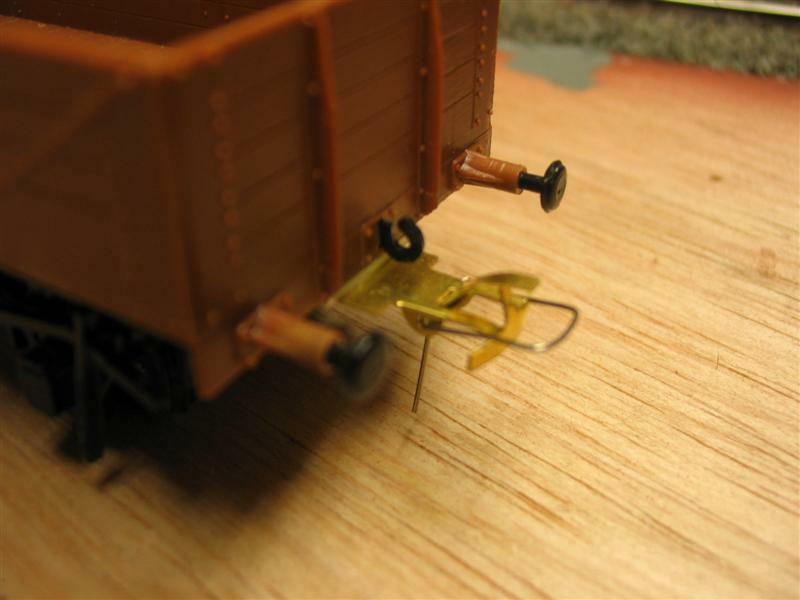 Yes I'm really impressed with the DG couplings but I've only done a few wagons so far to test them. It will probably be a while yet before I get round to working on the stock. Yes I'm really impressed with the DG couplings but I've only done a few wagons so far to test them. I, too, must attempt to change couplings from Bachmann to 'Summat Else', preferably magnetic, so will be interested in your experiences. There's plenty in the index here though a few more piccies are always welcome. Hi Dooferdog (great name by the way). There are plenty of other popular magnetic couplings around, I chose to go down the DG route after watching a layout at Warley last year and talking to the owner who had tried a few different methods and settled on DG's. 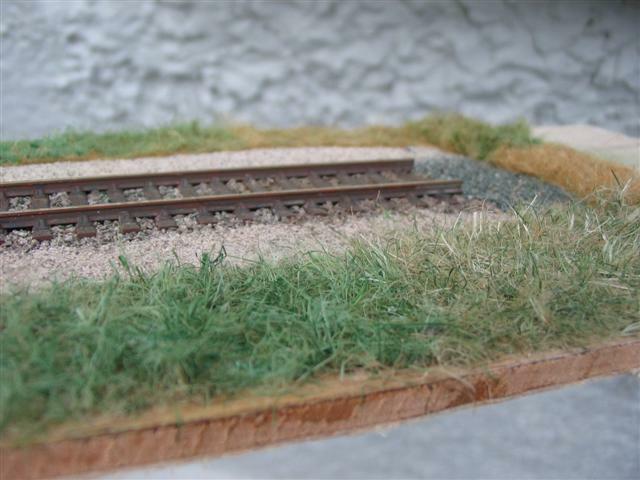 I've been experimenting with some different methods of producing rough grass. There's nothing new in what I've tried but I wouldn't mind some opinions of the results please. Be as critical as you like. 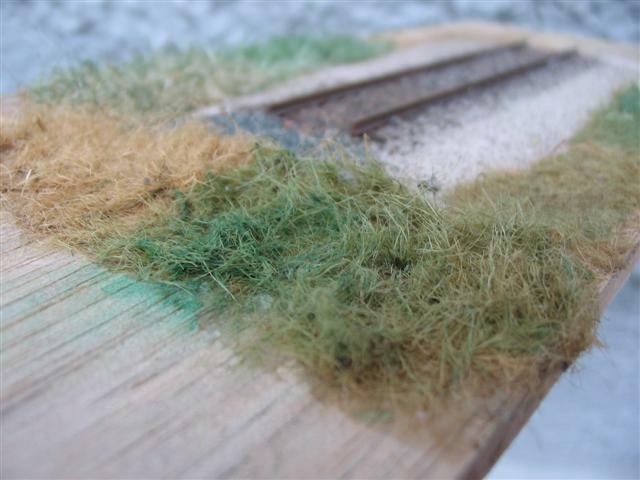 This photo shows from top left clockwise: Carpet felt stuck down flat and then torn off coloured with green water colour paint at extreme left and natural colour in the middle. Top right to bottom right, carpet felt stuck down in clumps and then torn off, again coloured and natural. Bottom is hanging basket liner, the lighter section is as it comes and the darker section has again been coloured with green water colour. 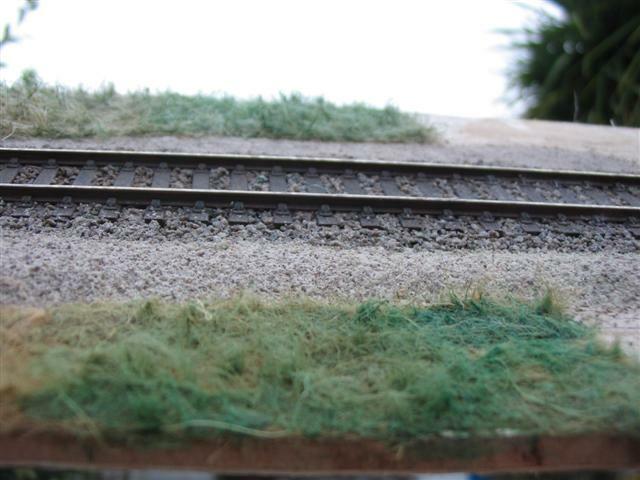 I think there is probably a place for all of these different textures on the layout but think I need to experiment a bit more with different shades of green. Thanks for that link on the couplings Nick. I'm putting that straight in the Index. That rough grass looks great in the last picture. If you have a pair of sharp scissors I wonder what it would look like with a really good trim as short as you can get it. From a realism point of view I always think Hanging Basket Liner is the best option for that long rough grass look. I like the look of the hanging basket liner, looks a little more realistic, you could then add different textures and colours to it, making it look like it is full of weeds etc. My favorite is the hanging basket liner. The individual "stems" are more clearly defined. Can you tell us in words then how the short back and sides looks Nick. I agree with the others about the rough grass look. I'll take a picture tomorrow, it'll be easier than trying to describe it.